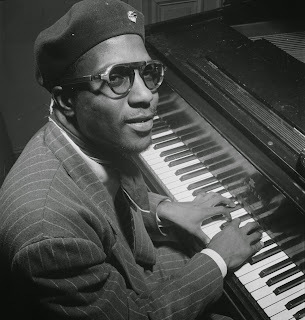 So far this month I have written about how you can discover jazz through an artist, album or song. This week I wanted to share different resources to discover jazz, such as through radio and festivals. Read my previous posts, Discover jazz, Planting the seeds and Through one album. You can learn a lot about the music by going to your local library. Physically seeing the jazz section of CDs helps to learn about new artists, and discover CDs from the artists you already know. 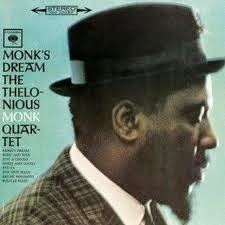 For example, if you have heard of Thelonious Monk you can go to the library and find various albums such as Monk's Dream and Solo Monk. Seeing the album art and reading the liner notes is helpful for learning more about the artist as well. Another thing you can do is write down the sidemen of an album you like and research in the library if they have their own albums. For example, if you like the album Thelonious Monk Quartet with John Coltrane at Carnegie Hall, then you could look up albums with John Coltrane and discover his albums, such as Blue Train and Impressions. Jazz is, without a doubt, best heard live. With a simple google search you can find jazz clubs in your area. For example, there are numerous jazz clubs around Boston, including Scullers, Regattabar, Wally's, among others. If you have trouble deciding which show to see, you can call or email the club and ask for recommendations based on the artists you like. Club websites often link to the artist website, YouTube, SoundCloud, which can also help you determine what the act would sound like. Another tip is to find local arts organizations websites, and see if they list any free jazz concerts in your area. Free concerts are often held at colleges with a music program, local libraries, or town centers. For example, ArtsBoston and JazzBoston are Boston concert calendars. You can also sign up for Jazz Near You from All About Jazz to get emails about local concerts in your area. Many restaurants have jazz brunches or live entertainment during dinner. This is a great way to start listening to jazz while also going out with family and friends. Thelonious Monkfish, Ryles, Beehive all have jazz brunches around Boston. Jazz festivals are an invaluable resource to learn about jazz. Festivals vary from free outdoor events, to indoor ticketed concert series. Free festivals are great to bring friends and family to. These informal festivals will help you hear different types of jazz while also being able to come and go as you please. Examples of free festivals around Boston are the Cambridge Jazz Festival, the Hyde Park Jazz Festival, and the Berklee Beantown Jazz Festival. Larger festivals are often ticketed. Outdoor jazz festivals, such as the Newport Jazz Festival, are in a large field and often have multiple stages and larger schedules. Whether you choose to stay at one stage all day, pick and choose acts at different stages or even just walk around, you will hear diverse acts. You can save the festival schedule for reference so you can look up the artists' music before or after you attend. Also, you may start to recognize artists playing at local clubs from the festival. Indoor ticketed festivals are often held as a concert series, either over the course of a season, month, or week. Oftentimes these festivals are similar to attending a jazz club, but the festival allows for more choices in jazz programming. The Rockport Jazz Festival is an example of this. Another free resource for learning about jazz is through radio stations and podcasts. Radio programs have a wide range of music depending on the theme of the station. Some programs focus on new releases by current jazz musicians, while others may focus on an era or style, such as swing or Latin jazz. Podcasts are perfect to listen to while driving to work, on the train or bus, or doing chores. This form of media often combines short clips of music with interviews or historical information. Some of my favorite podcasts are Piano Jazz with Marian McPartland, Jazz Profiles with Nancy Wilson and Jazz Stories. Some apps that I recommend for this include JazzBird and NPR Music. JazzBird is a free global radio app lets you listen to live, hosted jazz shows all over the world. NPR music is a free app that offers podcasts, radio stations and news articles. From libraries, to concerts, festivals, podcasts, radio programs and apps, jazz is easily and readily available to discover!